The thrilling adventures of traveler, rancher, and fighter Big-Foot” Wallace in a bygone era of the American frontier. 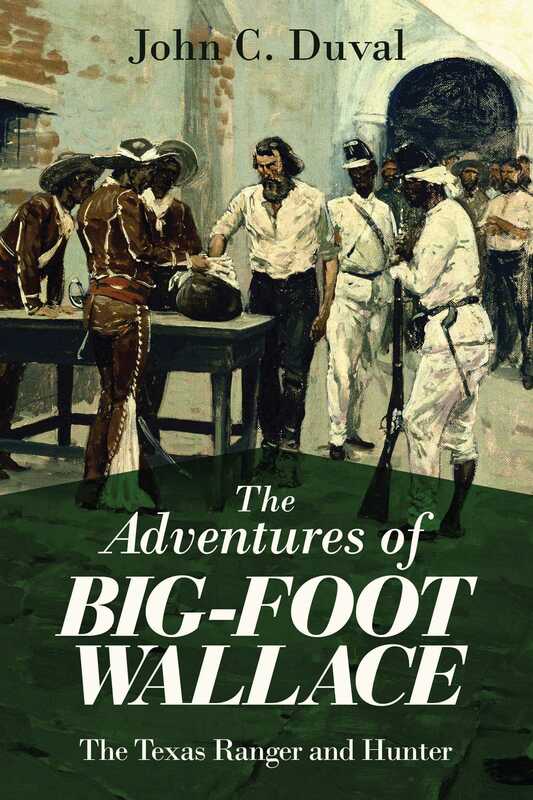 Amid the embroiling conflicts of frontiersmen, Mexicans, and war in Texas, 1837, William Big-Foot” Wallace left his hometown of Virginia to avenge the deaths of his brother and cousin, soldiers executed by Mexicans. Upon joining the Texas Rangers, Wallace was swept into the clashes at Salado Creek, Hondo River, and the Battle of Monterrey during the Mexican-American War. Measuring at 6 feet 2 inches tall and weighing 240 pounds, Big-Foot Wallace embodied the iron nerves and indomitable spirit of the Texan frontiersman. In one of his most famous and harrowing experiences during the Mier expedition, Wallace was captured by the Mexican army, blindfolded, and forced to draw from a pot of black and white beans to determine whether he would be imprisoned or executed. Wallace drew a white bean and lived. After the war, he returned from the wilderness to clean, civilized Virginia, and spent the rest of his days as a storytelling, yarn-spinning rancher. John Duval, fellow Texas Ranger and Wallace’s best friend, gives a thrilling but factual account of the man’s life in a simple but engaging narrative style, combining action, suspense, and dry Texan humor. Wallace’s hairbreadth escapes and larger-than-life story are the perfect representation of the Old West in all its perils, comedy, and romance.